John 19:11, "Jesus answered, Thou couldest have no power at all against me, except it were given thee from above: therefore he that delivered me unto thee hath the greater sin." 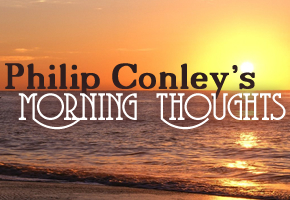 This morning, confusion abounds about the working of God and the responsibility of man. The ditches on both sides are full of people that lean too heavily one way or the other. Quite often, those that overemphasize man's ability and power to do "what he wills" are known as either "free willers" or arminians. Those that overemphasize God's dealings to make Him over-causative in the affairs of man are frequently known as absoluters. Generally speaking, most assume the household of faith are absoluters as soon as they hear us mention the word "predestination," and absoluters will assume we are arminians the moment they hear us talk about conditions. As is quite often the case, Bible students following after God in spirit and in truth seek to occupy the road between the ditches and have folks flinging rocks up from both sides and both ditches. One of the clearest pictures from Scripture about God's affairs with men stems from His affairs with His Son while Jesus Christ walked this earth, particularly His last hours leading to death. When you listen to people talk, it is generally amazing to hear them say things that patently disagree with what they believe. Whenever a problem arises that is too great for an Arminian to handle, they say things like, "Well it's in God's hands," or if they are dealing with death, they say, "It's just their time." Though they lay the responsibility of getting to heaven upon man's shoulders – the hardest problem known in this universe – and also abhor the idea of predestination, these common statements show some sentiment along those lines. Likewise, an absoluter will commonly say things like, "Well we all have choices to make that we must live with" or possibly "Be careful about the situations you might encounter." Though they think that all things are fixed and certain, they still daily operate with notions of condition, choice, and related consequence for the action. From these observations and experiences, we might conclude and reasonably suggest that most people have a little bit of arminian and absoluter in them. Therefore, it behooves us as students of God's word to root out those natural inclinations and center our thoughts and attention to the right way of thinking from the only perfect book ever written. When Jesus walked this earth, He was perfectly attuned and aligned in His will to the Father's will who sent Him. All that He had to do, He knew what was required of Him, and He joyfully and willingly did those things that were right and pleasing to His Father. Nothing about His character can be impugned, and nothing that He did in action can be lawfully railed upon. As it pertains to His death, He both knew and had agreed to come and die for His people. However, the way we approach His prophesied death and the way that we deal with it says a lot about our theology in viewing God's actions and the responsibilities of man. Notice Christ's language to Pilate from our study verse. He very clearly relays that both God and men were responsible to some degree for the position He is now in. They are not responsible in the same sense. Far from it. Christ clearly tells Pilate that any power (ability) he had against Him was from above, but that those responsible for putting Him there were guilty of great – in this sense – greater sin. Let us consider how Christ ended up standing before Pilate from the perspective of God's hand and man's hand. At the end of the day, the hope is that our conclusions will lead us to some measure of understanding of the dealings of both in our lives. It is clear from Scripture that man wanted to kill Christ from the moment He came into this world. Herod murdered countless children trying to extinguish Him whom the wise men came to worship. The Jews oftentimes sought to stone Him, and He simply passed through the midst of them. Soldiers were sent to take Him, and could only respond with, "Never a man spake like this man." This manifold witness shows that had God so desired, no one could have touched Christ forever as long as God so chose. However, God does not regulate every activity of life on earth, though He does many, many times shower a hand of providence and protection upon people and events. God's hand was with Christ at all times, and no one, no matter how savvy could have gotten through to harm Him while such was the case. Christ's first clause to Pilate shows the veracity of this thought. Pilate could have done nothing to Him had God so chosen that He not. However, at the moment Christ stood before him, the providential hand was temporarily removed, which allowed the men to take Him, bind Him, and deliver Him to the magistrate. Christ tells them in the garden (previous chapter) that it was "their hour and the power of darkness." The hearts of men were finally able to fulfill what they had wanted for quite some time. Both the Father and the Son knew that He had come to die, but nothing was going to hurry that death or leave some prophecy of His coming and work unfulfilled. What about man's actions in this whole ordeal? God's hand cannot be charged upon those men to do what they did, for notice the wording of Christ's second clause. He that delivered me to thee hath the "greater sin." Christ is telling Pilate, "If you put me to death, that's wrong, but those that sent me here are more wrong than you are." In other words, the men that did the things to Christ were not fulfilling God's grand scheme and design of things. Rather, they were following their own fleshly and sinful desires. Pilate had a desire to advance his political position and would placate people to make it happen. Sinful. The men wanted Christ put out of their sight, for He was a great thorn in their side that needed to be eradicated for their peace of mind. More sinful. God did not move those hearts, but they manifested in full what they had wanted for years. One thing this verse also shows is that not only was God not culpable for their misdeeds, their misdeeds were ranked. There are greater sins than others. The wicked Jews were more sinful in their conduct than the wicked Romans were in the execution of that conduct. Just as a leader or teacher is more at fault than those that they lead and teach, so also those that delivered Christ to the tribunal were more sinful than the tribunal that scourged and eventually crucified Him. Now, at this point in the reasoning, one might cry, "But Christ was supposed to die. He was supposed to die that way. It was prophesied." However, though God knows someone will do something, that does not make Him culpable for the action. The fact that He removed His hand of protection from Christ Jesus – knowing full well what they would do – does not make Him responsible for what they did. Their wickedness was their own. The thoughts and intents of their heart were on display for all to see and observe. When Christ bowed His blessed head and gave up the ghost, their accountability for His death was fully demonstrated as they thought He was finally removed from their sight. So, we see from Christ's statements to Pilate that nothing could have happened to Him in this manner had the Father not allowed it, but that all the heinous actions that transpired were accounted to the men that performed them. This same sentiment is echoed by Peter on the Day of Pentecost when he tells the Jews that Christ was delivered by God's determinate counsel and foreknowledge, but they wickedly crucified Him. (Acts 2:23) No amount of rationalization can successfully exonerate the wickedness of man or condemn the righteousness of God in this setting. God's actions – as always – are fully righteous and not responsible for sin. Man's actions in this setting are bad to worse depending on whether part of the sin or the greater sin. How does this translate for us today? While it is undoubtedly true that God knows all that will happen to us during the course of our lives, we cannot say that our lives have been prophesied about to the level that Christ's was. I have no idea what is in store for me, nor can I accurately predict what form of death I will endure. However, between now and then, I am assured that God will be with me in all things. Because Christ was forsaken by the Father in the work that He had to do, I will not ever have to worry about being left alone. (Hebrews 13:5-6) Now, that does not necessarily mean that He will protect me from all things, but He will be with me in all things. Without a doubt, my life has been preserved and spared on numerous occasions, and probably many, many more that I fail to even see that it happened. Yet, in our lives we will suffer at times and endure pain and afflictions. In many of those pains and afflictions we will see the wickedness of man's heart on display as we endure reviling and suffering from them. When someone looks upon the scene of the early disciples of the cross, we see them counting it all joy that they were counted worthy to suffer these things for His names' sake. (Acts 5:41) While trying to follow after Him in gospel obedience, they felt a kinship to Him by undergoing those types of beatings, suffering, and death. Though they experienced the cruelty of man's depravity, they understood that God had not forsaken them though He didn't spare them from everything. Friends, I would like to say that following God yields a care-free life, but the truth is that the forces of darkness will desire our demise in direct proportion to our attempts to live righteously in this old world. (II Timothy 3:13) Many times, God delivers us from things, but He also delivers us through things as well. No matter how bad the depravity pressing upon us from within or without becomes, never mistake God's hand in that. He has not brought these things upon us any more than He brought those things upon His Son. Man in all of his ugliness is responsible for those things. There will be varying degrees of depravity that we see, but through it all, may we see that He has been with us, stands with us, and is waiting on the other side for us. Knowing that deliverance has come in our lives, may we anticipate it even moreso in the life to come.